Compare your own service department vs. industry averages for monthly truck rolls, timeframe between service requests per client, response time and common causes of service requests. 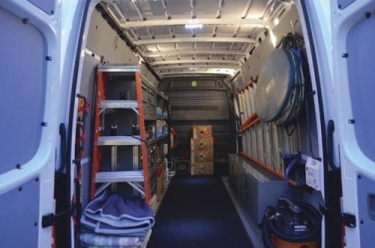 The typical custom installation company service vehicles carries $7,500 worth of tools. For many integrators, service can be a black hole of red ink. Still others manage to earn a profit. The increasing need to service IP-based equipment is leading more integrators to deploy remote service management systems to reduce unnecessary truck rolls. At the 2018 CEDIA Expo in San Diego September 6-8, CE Pro is partnering with Emerald Expositions to conduct a series an informative 30- to 40-minute TechTalk panel discussions on the SmartStage located on the exhibit floor. One panel will focus on the growing importance of establishing a profitable service department that includes remote managed service. The panel will offer best practices to turn your service department from the red to the black... and make you some more green for your wallet! In the meantime, here is a quick six-question quiz citing some benchmark statistics on service departments. Take the test to see how your service department compares?